As Justin Gatlin and Usain Bolt face off at Rio 2016, here's a look back at other notable sports rivalries that have highlighted the Olympic Games. 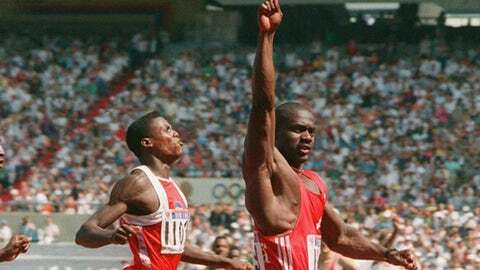 Canada's Ben Johnson (right) dethroned Carl Lewis in the 100-meter final in world-record 9.79 seconds during the 1988 Olympics in Seoul, South Korea, earning the title of the World's Fastest Man. The honor was short-lived, however, when Johnson failed a drug test a day later and was DQ'd. 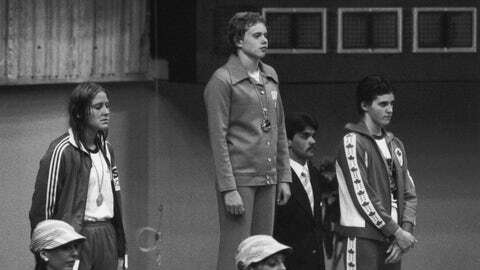 Forty years before Lilly King wagged her finger at Yulia Efimova, American Babashoff (left) accused the dominant East German swimming team of doping at the Montreal 1976 Olympics (which they later admitted). 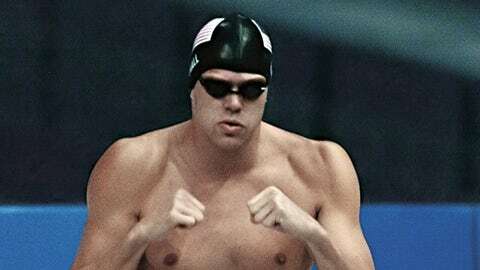 South Africa's Chad le Clos beat Phelps in the 200m butterfly in London four years earlier, and then seemingly rubbed it in his face with a taunting warm-up before their Rio heat. 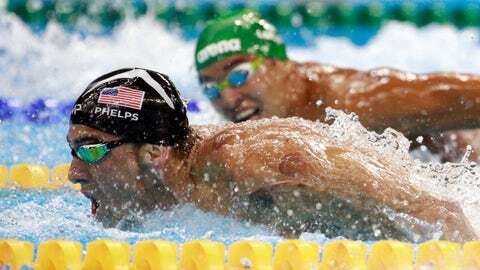 Phelps got the last laugh by winning the 200m fly and taking back the gold the next night. The 3,000-meter final at the 1984 Los Angeles Olympics was supposed to be Team USA darling Mary Decker's triumph. That is, until she tangled 18-year-old upstart Zola Budd of Great Britain 1,700 meters into the race and fell to the side of the track. Decker didn't finish the race and blamed Budd for the fall. Budd ran on to boos from the crowd and finished seventh. The most awkward Olympic training session ever. Harding's ex-husband and bodyguard infamously hatched a plan to attack Kerrigan on the knee during the U.S. Olympic trials in the hopes of improving Harding's chances at the 1994 Olympics in Norway. It didn't work: Harding broke down over a broken skate lace and finished eighth in Lillehammer, while Kerrigan won the silver. 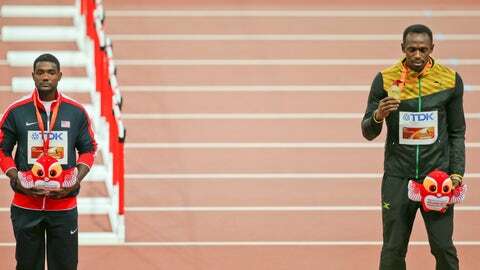 American Gatlin won 100-meter gold at the 2004 Olympics in Athens but then was put out of commission when he was hit with a four-year doping ban. 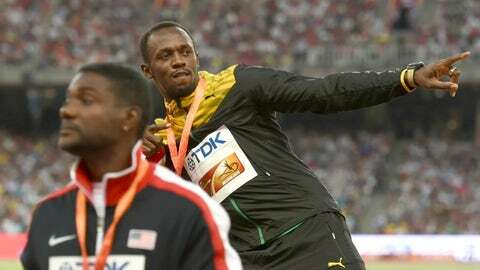 In that time, Jamaica's Bolt took the title as the World's Fastest Man, setting world records in the 100- and 200-meter dashes and winning gold at both the 2008 and 2012 Games, but he's been hampered by a hamstring injury. Now the two are set to face off again in Rio in both the 100- and 200-meters. Hall Jr. was a brash American sprint swimmer and former relay world record holder who liked to talk the talk. But Russia's Popov was not one to back down from a pool fight, and proved to be the better swimmer in the 50- and 100-meter free in the 1996 Atlanta Games, winning gold to Hall Jr.'s silver. Hall Jr.'s trash talking also extended to the 2000 Olympics, where he had claimed that Team USA would smash Australia like guitars at the Sydney Games. The Australians had the last laugh, beating the Americans in the 4 x 100 relay and prompting this air guitar show of mockery toward the U.S. team. The emotions that ran in the rink for these Russian ice dancers was rivaled by the drama that occured off of it. 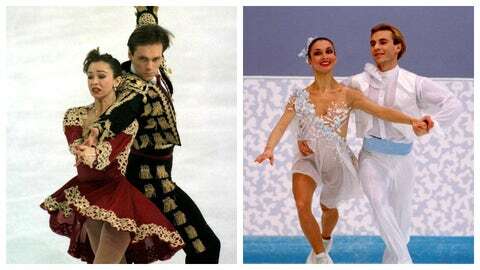 Oksana Grishuk (who later changed her name to Pasha, so as to not be mistaken for Oksana Baiul) and Sasha Platov, who finished fourth at the 1992 Winter Olympics, were coached by the same instructor as married pair Maia Usova and Aleksandr Zhulin (who earned bronze in Albertville). Then Grishuk reportedly had an affair with Zhulin, prompting Usova to reportedly grab Grishuk's hair at Spago's and smash her head against the counter. But Usova's victory was short-lived: Grishuk and Platov ended up winning gold at the 1994 Olympics in Lillehammer. Usova and Zhulin took silver.